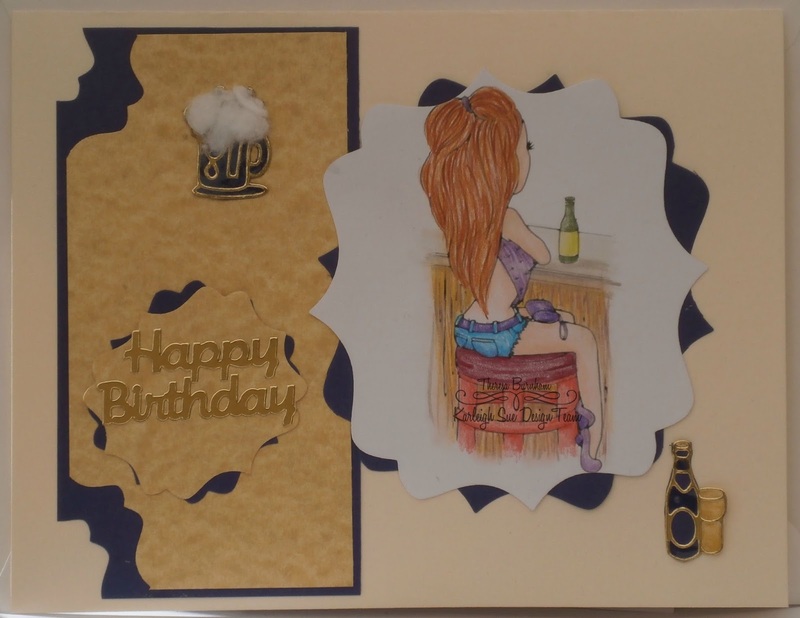 With this card is in my suitcase for a barmans birthday over there. This project uses Karleigh Sue Just A beer Please digi. I used my Polychromo pencils to colour her. I cut her out using one of my fancy dies. layered up over the same die in card from my stash. Wanting to keep the 'bar' theme I rummaged through my peel off stash (once I'd wiped the dust off them!) and found a beer glass and bottle with glass. Filled with diamond glass to get the glass effect and glued cotton wool on the pint for the beer head. Please pop over to Karleigh Sue's challenge blog and share your projects.